OLD ORCHARD BEACH, ME – The Puerto Rico Islanders defeated the Old Orchard Beach Surge for a third consecutive game and look to turn it around against the Islanders. Kurtis Hultz got the start on the mound for the Surge, but gave up three early runs in the game. The Surge pitching staff did not give up a run after the 3rd inning Also pitching for the Surge was Matt Colon in the 8th inning allowing no hits, and Chris Ross in the 9th allowing zero hits as well. 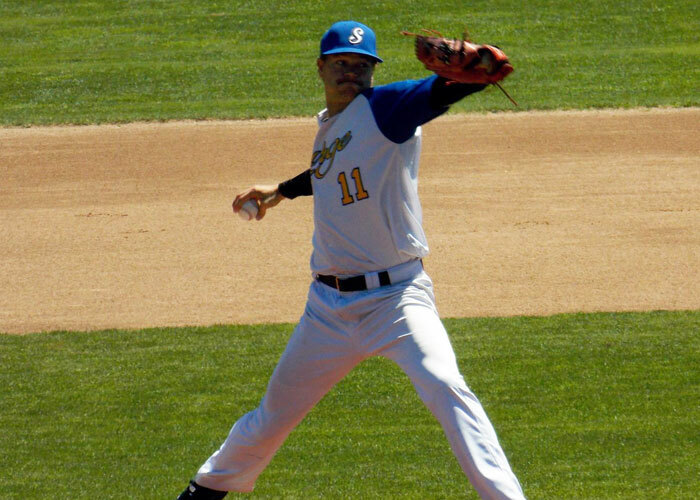 Luis Contreras was the starter for the Islanders who threw an impressive 7.0 innings with just seven hits and ten strikeouts. Contreras then was relieved by Jordan Matos and Axel Cruz who threw the 8th and 9th. The Islanders pitching staff had themselves a combined shutout for the day. Surge have three games left against the Islanders on the season. The two teams will compete this Friday, Saturday, and Sunday as the Surge look to gain their first victory over the Islanders on the season to avoid the sweep. The Islanders are in first place while The Surge are currently holding down the fourth and final playoff spot.